Melbourne Convention and Exhibition Centre (MCEC) has been awarded the Champion Trophy as ‘Australian Large Producer,’ at the 2018 Australian Food Awards (AFA) presentation dinner, held in September. The third annual awards dinner conducted by The Royal Agricultural Society of Victoria bestowed 13 Champion Trophies to the best food producers nationwide. The AFA program prides itself on the recognition and celebration of outstanding food produced across the country. This year, Australia’s leading national food awards program attracted 1,296 entries from more than 360 exhibitors, and all six states and one territory were represented in the Best in Class awards. The accolade comes after MCEC was awarded six medals by the AFA for a range of ice creams and sorbets. The trophy recognises MCEC as having received the highest combined score out of all other large producers. The judges combine the scores from exhibitors’ top four scoring products, to determine each exhibitors ‘total score’. 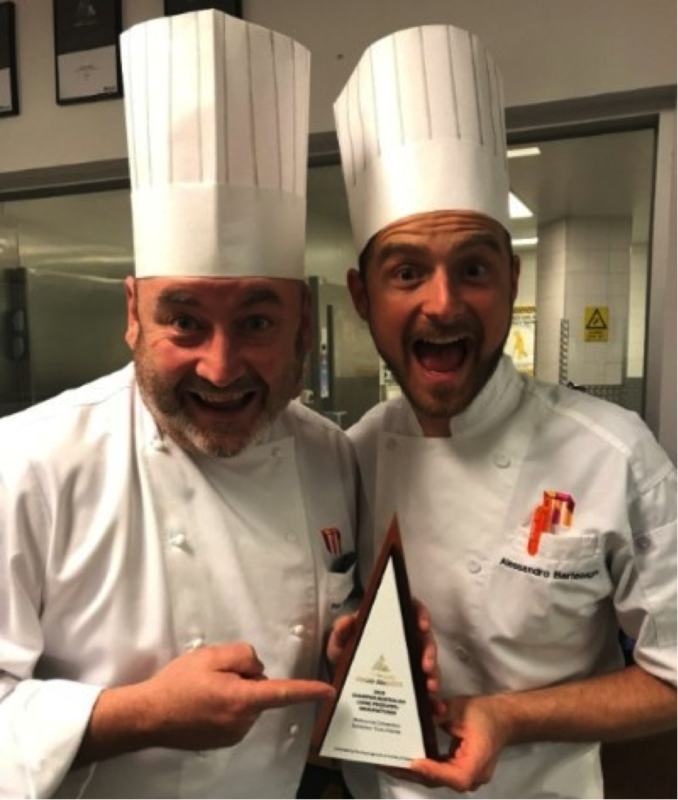 MCEC’s Executive Pastry Chef, Alessandro Bartesaghi credits the talent and passion within his team to continuously create award-winning products. “At MCEC everything we prepare is made fresh, in-house and by hand,” said Mr Bartesaghi.